The last few days have been crazy since I recovered from this stomach bug that had me down for a few. Not only did I have a handful of sales at The Ringmaster’s Realm, I was also able to knock out the final installment of The Ridge series for texties.lol. In some ways, I am sad to see that specific story end, but at least, no one died, so there is hope for the future. Now, I have to refocus some to ensure that I have everything in place for my first booth at a toy show in quite a while. 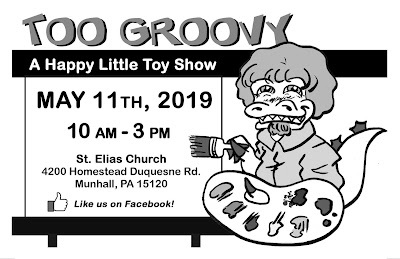 Time is counting down to the Too Groovy Toy Show that will take place on May 11, in Munhall, PA. If you’re not busy that day, swing by and see what we have in stock or just say hello! 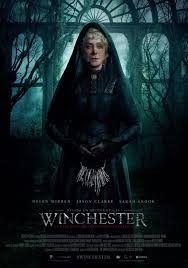 I know that I keep saying that I am going to make more of a concerted effort in writing reviews of the movies I watch or at least, keep you updated on what is listed on the Ringmaster’s Realm over at ETSY. Unfortunately, between kids and then being sick, I haven’t been able to do everything that I wanted to do. That should all change soon, as I am definitely ready to buckle down and knock some stuff out (it also helps that I brought my Mac back to life). 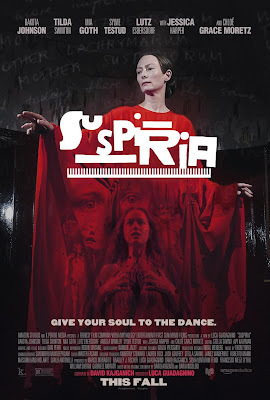 With that, the next movie for review is the 2018 remake (reinterpretation) of Suspiria. Plot/ A darkness swirls at the center of a world-renowned dance company, one that will engulf the artistic director, an ambitious young dancer, and a grieving psychotherapist. Some will succumb to the nightmare. Others will finally wake up. 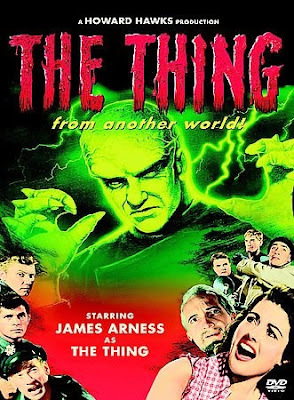 Over the past few weeks as I have spent more time building up the Ringmaster’s Realms vintage toy store, I have found myself watching more movies as I get things ready for either the online store or the Too Groovy Toy Show in May. Of course, as usual, my selections have been uneven. 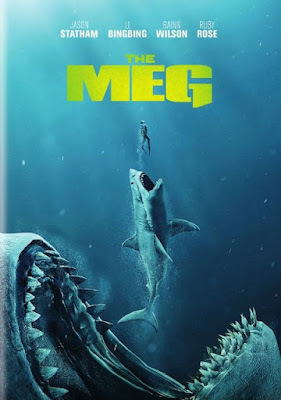 That is definitely the case with this one, the 2018 entry The Meg. Plot/ Five years ago, expert sea diver and Naval Captain Jonas Taylor encountered an unknown danger in the unexplored recesses of the Mariana Trench that forced him to abort his mission and abandon half his crew. Though the tragic incident earned him a dishonorable discharge, what ultimately cost him his career, his marriage and any semblance of honor was his unsupported and incredulous claims of what caused it - an attack on his vessel by a mammoth, 70-foot sea creature, believed to be extinct for more than a million years. 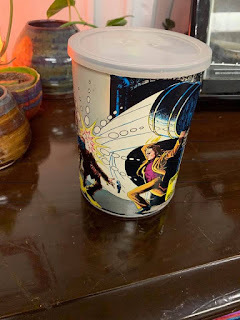 Now that I have been caught up in building The Ringmaster’s Realm online vintage toy store and preparing for our first toy show, I have found myself spending more time in the super hero universes than horror or even sci-fi in recent weeks. While this is a nice change, it has shown me that not all super hero’s (or their movies) are created equal. That was definitely the case with this entry Justice League from 2017. 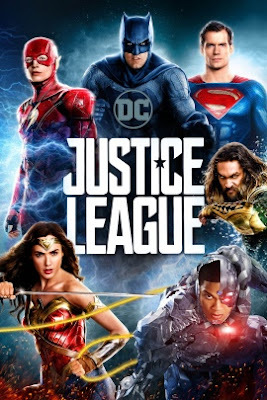 Plot/ Fueled by his restored faith in humanity and inspired by Superman's selfless act, Bruce Wayne enlists the help of his new-found ally, Diana Prince, to face an even greater enemy. After finishing my latest installment in The Ridge series for Texties, I was hopeful that the weekend would bring in some coll items. Unfortunately, this weekend was kind of a bummer, as I really didn't find much new for the store (which doesn't help my 18 month plan). Even with that, it has been a successful opening/kick-off with 2 Etsy Sales and some positive results on Ebay. Hopefully, those keep trending upward. So what was my major find of the weekend? A vintage Six Million Dollar Man Puzzle (complete - put it together last night). Until my next update, here are some pics of the puzzle.